“Concerts in the Barn” Property Protected Forever! 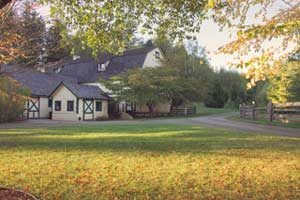 Trillium Woods Farm’s orchard and iconic barn where visitors have enjoyed Concerts in the Barn for more than three decades. 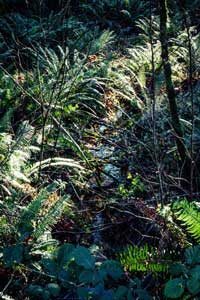 Tarboo Creek and Dabob Bay are one of the few intact lowland stream and estuary areas in Puget Sound. 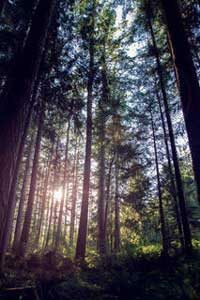 In fact, the bay is considered one of Washington’s highest functioning coastal spit and tidal wetland systems. Having a healthy stream and estuary is critical for supporting a rich diversity of fish and wildlife and protecting the water quality in the north Hood Canal — one of the state’s premier shellfish growing areas. 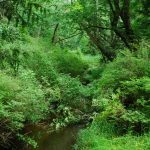 Decades ago, a coalition of public and private organizations, including Northwest Watershed Institute and the Land Trust, realized this and began working in partnership with local landowners to protect property in Tarboo Valley and Dabob Bay. Alan introduces members of the Aletheia Piano Trio, who performed at Concerts in the Barn in 2017. Over the years, dozens of properties — representing more than 1000 acres — have been protected with conservation easements. 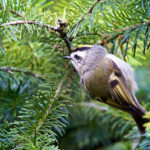 The latest of these is Alan Iglitzin and Leigh Hearon’s beloved Trillium Woods Farm. The farm is well known as a showcase performance venue. 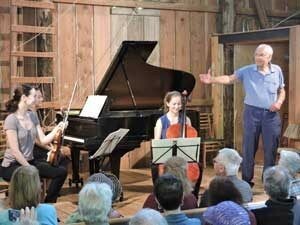 For decades, its iconic barn has been home to world-class chamber music on the Olympic Peninsula. One of the founding members of the Philadelphia String Quartet, violist Alan Iglitzin purchased the 53½ -acre farm in the mid-1970s. Since 1966, the ensemble had held the position of Quartet-in-residence at the University of Washington. After years of touring throughout the U.S. and Europe, Alan began looking for a summer home where his quartet could rehearse and rest. Trillium Woods Farm’s historic barn with its perfect acoustics. He found that home in the Tarboo Valley. When he purchased it, the turn-of-the-century dairy and berry farm — originally homesteaded and built by a Japanese-American family, the Iseris — was in an acute state of disrepair. However, Alan had a vision. With a historic barn that had perfect acoustics, he believed the farm, in its beautiful and peaceful setting, would make an ideal summer home for the quartet. With a lot of hard work, it became that and much more. Alan and others worked for eight years to get the farm in shape. The quartet initially rehearsed onsite and then held a concert for its board of directors. Later, as word spread about music in the barn, Alan decided to put on concerts for the public. In 1985, Alan started the Olympic Music Festival. The first season comprised three concert weekends. Over time, the festival grew to become a summer-long event. In 2015, the Olympic Music Festival moved to Fort Worden and Alan began “Concerts in the Barn,” a series of chamber music performances free to the public. Alan and Leigh enjoying a typical summer day at Trillium Woods Farm. Energy and creativity runs in the family. Alan’s wife, Leigh Hearon owns a successful private investigation firm and is also the author of the Carson Stables mystery series. These popular who-done-its are set on a horse farm on the Olympic Peninsula. Leigh is currently working on a new mystery with a female PI as the protagonist, something she once swore she’d never do! 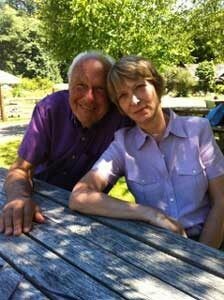 The couple is happy to have protected the farm they’ve enjoyed, shared with others, and cared for so well. Over the years, nearly every structure on the farm has been restored. The couple maintains an extensive organic vegetable garden. And with their care the berries — although not managed on a commercial scale — thrive on the farm. According to Leigh, there are raspberries, thornless blackberries, strawberries, and hundreds of blueberry bushes. Musicians and concert-goers are encouraged to enjoy the berries when visiting. The farm is also home to Leigh’s Saddlebred mare, now retired, and a Quarterhorse mare, fostered from Center Valley Animal Rescue. Magnificent forest and wetland area behind the farm’s horse stables, where NWI has planted native trees and bushes, improving wildlife habitat. Her magical concert memories are just one of the reasons she’s so thrilled to have worked with Alan and Leigh to protect this special property. 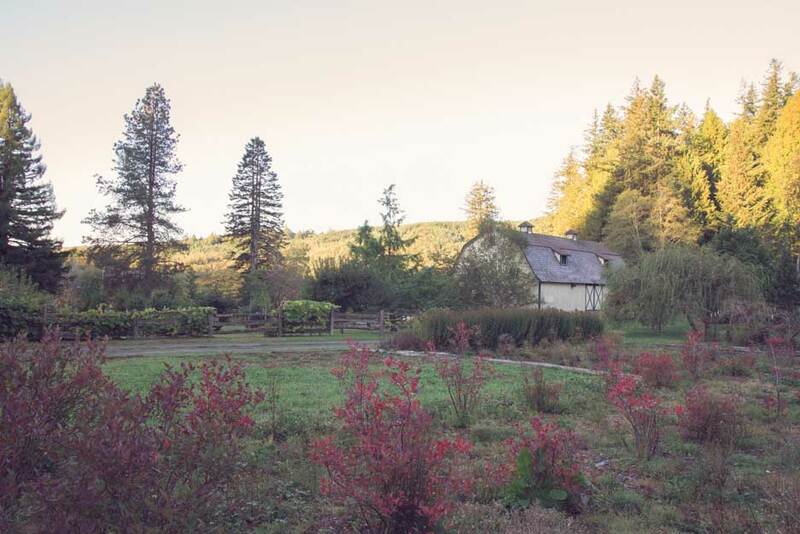 “The farm has so many things going for it, both for visitors and wildlife,” said Sarah. 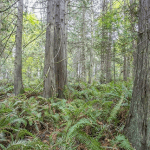 Sitting at the headwater of Tarboo Creek, wildlife, including beavers, bobcats, owls, and salmon all benefit from the land’s inviting habitat — the mature forest, beautiful wetlands, and Tarboo Creek meandering throughout the property. Bridge built by Northwest Watershed Institute to replace a culvert so that salmon can spawn in the headwaters of Tarboo Creek. Over the years, the farm’s habitat has received a big boost from Northwest Watershed Institute (NWI). NWI has worked with Alan and Leigh on Tarboo Creek restoration projects since 2003. Initially, they removed a culvert on the property, replacing it with a bridge to enable salmon to return to spawn in the headwaters for the first time in 50 years. NWI has also completed a number of major restoration projects on the farm. 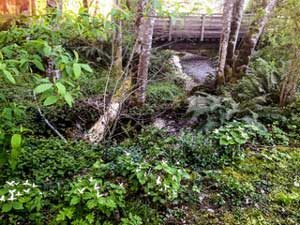 They have re-meandered and rebuilt sections of stream that had been straightened in the early 1900s and added pools, riffles and logs to provide a mix of habitats used by spawning coho salmon and cutthroat trout. A vibrant and healthy Tarboo Creek showcasing the restoration work by NWI. To help facilitate the protection, NWI wrote a Jefferson County Conservation Futures grant application, with the intent that the Land Trust would hold an easement on the farm. The funding was approved in 2017 and the easement was finalized in late 2018. Not surprisingly, Alan and Leigh, who have for decades so generously shared music and their farm with our community, accepted less than full value on the easement. 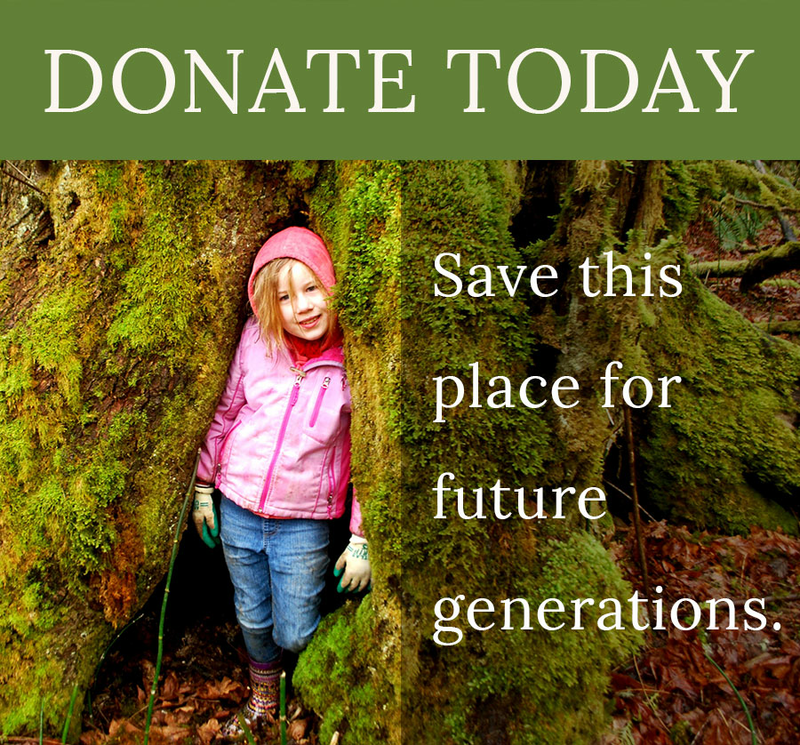 To celebrate its protection, Northwest Watershed Institute will hold its 13th annual Plant-A-Thon at Trillium Woods Farm on February 2, 2019. At the event, about 200 students from five local schools and their parents will plant native trees to restore a wetland along upper Tarboo Creek. What’s Ahead for Trillium Woods Farm? Together, Alan and Leigh have established Concerts in the Barn, a nonprofit organization that hosts free chamber music concerts on the farm each summer. Three weekends of concerts will take place in July. To learn more, visit their website. Leigh is also planning to hold several writers’ workshops at the farm during the spring and fall. 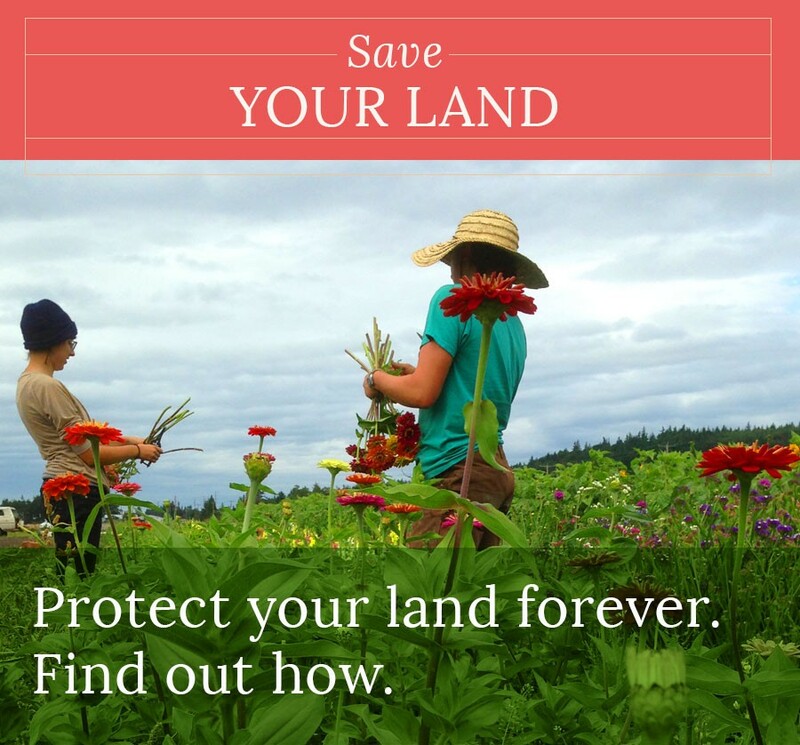 “I’m very excited about our plans for the farm’s future, and happy that the conservation easement will ensure the farm’s environmental legacy in perpetuity,” said Leigh.